“This is a ground-breaking book about numbers, but it is not aimed at mathematicians: It is for everyone who uses computers for calculation," explains Dr. Gustafson. 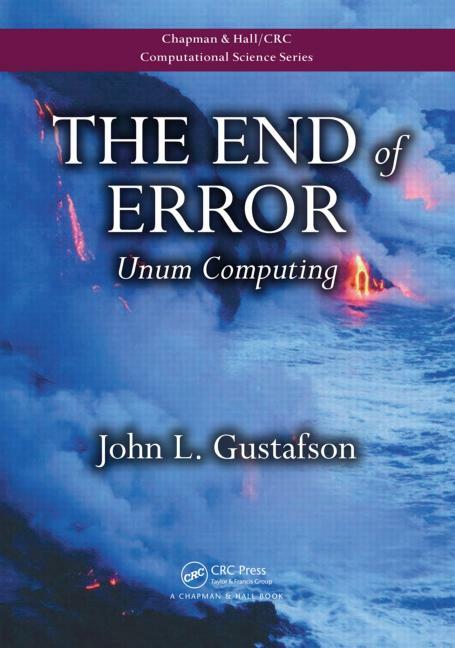 CRC Press is pleased to announce the publication of “The End of Error: Unum Computing,” which unveils an innovative number representation system that can solve problems that have vexed engineers and scientists for decades, including problems that have been historically limited to serial processing. Written by one of the foremost experts in high-performance computing and the inventor of Gustafson’s Law, “The End of Error: Unum Computing” explains a new approach to computer arithmetic: the universal number (unum). The unum encompasses all IEEE floating-point formats as well as fixed-point and exact integer arithmetic. This new number type obtains more accurate answers than floating-point arithmetic yet uses fewer bits in many cases—saving memory, bandwidth, energy and power. Dr. John L. Gustafson is an applied physicist and mathematician. He is a former Director at Intel Labs and former Chief Product Architect at AMD. A pioneer in high-performance computing, he introduced cluster computing in 1985 and first demonstrated scalable massively parallel performance on real applications in 1988. This became known as Gustafson’s Law, for which he won the inaugural ACM Gordon Bell Prize. He is also a recipient of the IEEE Computer Society’s Golden Core Award. If you would like more information about this topic, please contact Chris Manion at 561.998.2508 or email at chris(dot)manion(at)taylorandfrancis(dot)com.